Apple Pie Baking Day & Stocking The Freezer! 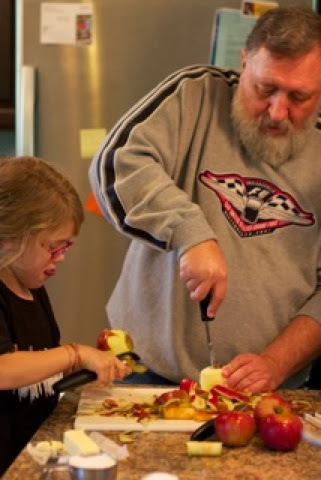 Apple season is a highlight for our family each fall. Apple orchards with mazes, petting zoos and hayrides are becoming more and more popular in our area. But my favorite orchards are ones that are small, family owned, without all the hoopla. Where apple picking IS the attraction. This year was an extra special, apple picking day. My cousin invited us come over to pick apples at her house out in the country, where they have 11 organic apple trees in the corner of their land... a mini orchard! 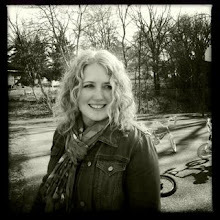 My kids and I packed lunches and drove out to her home for the day. We picked bags of apples and had a great time with her and her family, making for a special, memorable day! Thank you Angela and Steve! Even their dog had fun with the apples. Now, what to do with all these wonderful apples?! We are eating the Honeycrisp and HoneyGolds fresh. 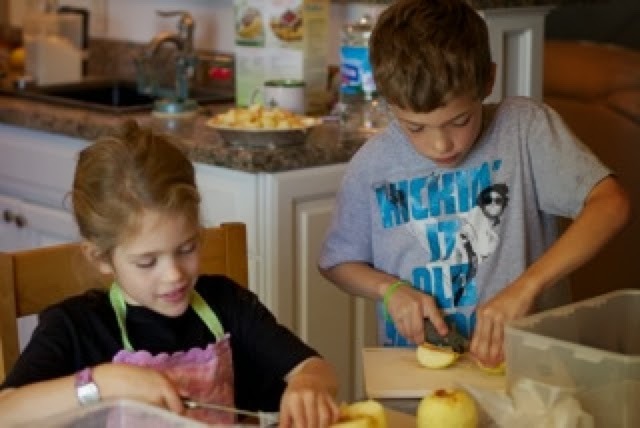 The Prairie Spy apples are being used for Homemade Applesauce, Apple Fritters (that's right, warm, sweet Apple Fritters...these recipes are coming soon), Baked Apple Brie, and Apple Pies. 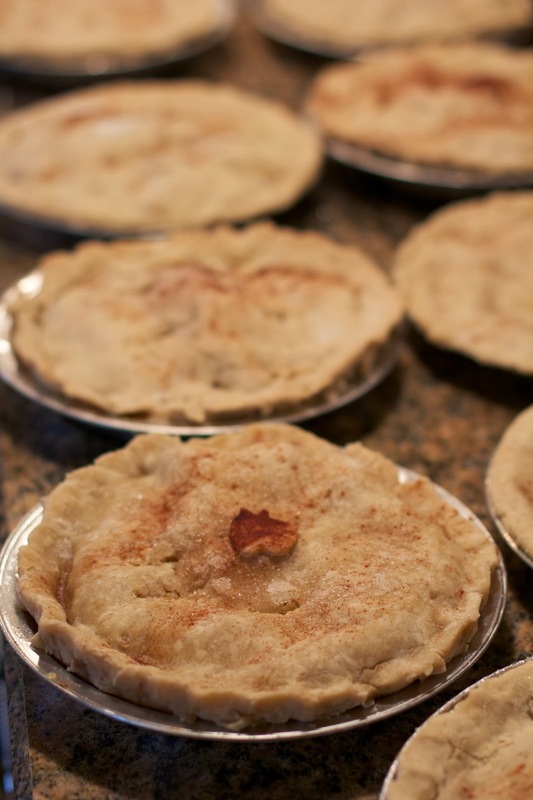 You can find my favorite Apple Pie recipe here. 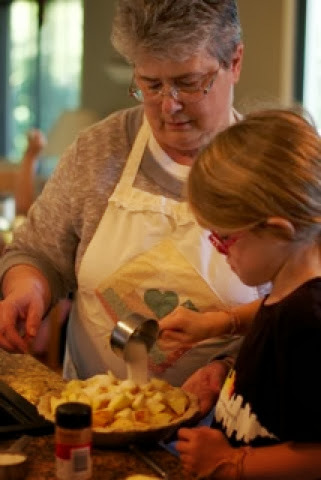 The kids had the day off school so we invited Grandma and Grandpa over for a Apple Pie making day. Everyone helped and we ended up making 14 gluten free apple pies!!! Our freezers are stocked for the winter, ready for holidays and guests...hooray! Freeze your apple pie?! You bet! Bake them as usual. Allow to cool completely. Then, place in freezer bags, squeeze out all the air you can and seal. Freeze for the winter. When you are ready to serve one, simply remove from the freezer and let "thaw" on the counter for 30 minutes. Bake at 350 degrees for about 30 minutes and you will have warm, Apple Pie to serve to your family and friends. 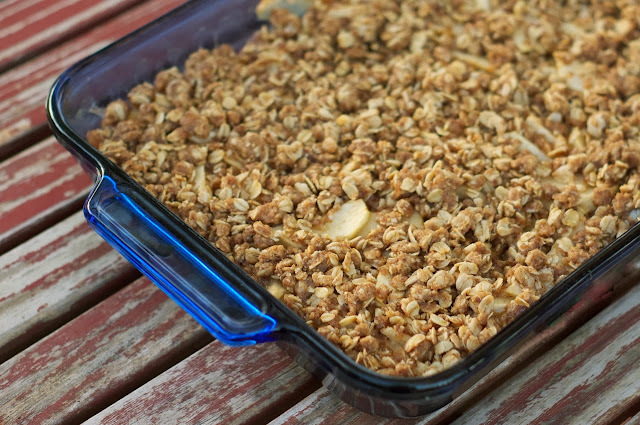 Looking for other apple recipes, try this Buttery Apple Crumble or Apple Cinnamon Bread.